SAVE THESE DATES—MARK YOUR CALENDAR TO ATTEND! Make a difference in helping South Louisville Community Ministries to Change Lives in Crisis. There are several ways you can support the families in the community by your donations and attending our 2019 Events. With more than 200 guests, we will honor a very special keynote speaker, award a good samaritan as the Neighbor of the Year, and enjoy music from Hora Certa! There will be a cash bar and cocktail attire is suggested. 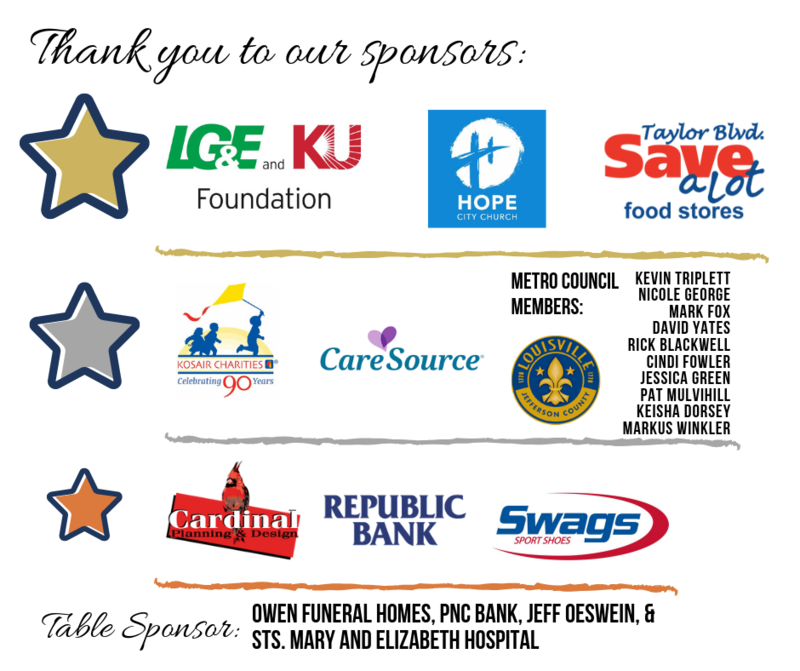 The Annual Golf Scramble is held yearly to bring to together various businesses or community leaders to have fun as they support the work of South Louisville Community Ministries. Golf team members network and learn how their contributions can impact our services.